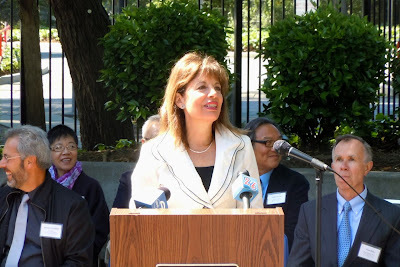 As chief blogger for the California Genealogical Society, I've been to many family history events and reported on lots of genealogy achievements, but none have been as moving and significant as today's A-Files Opening Ceremony and Dedication of the Tom Lantos Research Center at The National Archives at San Francisco. Having the A-files re-designated as records of permanent historic value. Keeping local records at the San Francisco NARA. 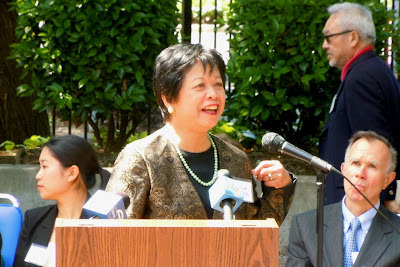 In June 2009, the United States Citizenship and Immigration Services USCIS and the National Archives and Records Administration NARA held a formal joint signing ceremony in Washington, D.C. to "designate as permanent the immigration files created on the millions of aliens residing in the United States in 1944, as well as those arriving since then." Today, three years later, NARA-SF officially opened over 40,000 of the case files and dedicated its research room to the late Tom Lantos. 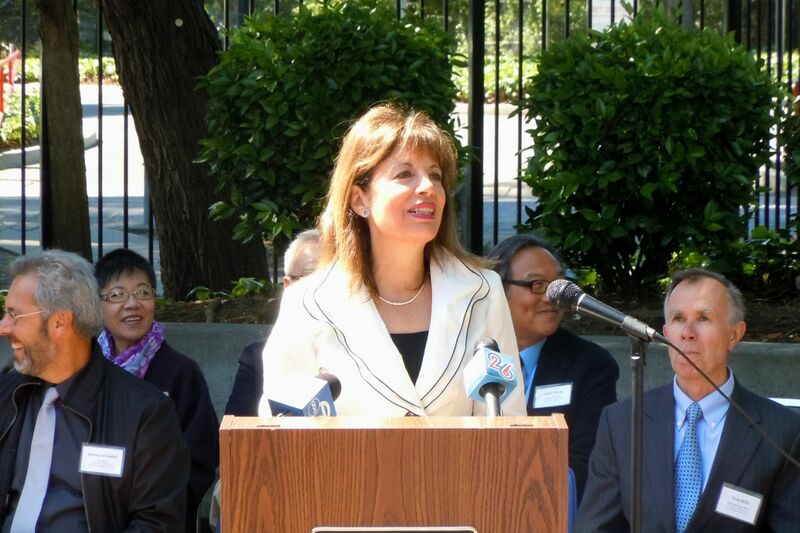 Taking part in the ceremony was U.S. Representative Jackie Speier, who continued the work of Tom Lantos after his death in early 2008 and her election to his seat. Among the other speakers was CGS member and San Francisco Bay Area Jewish Genealogical Society President Jeremy Frankel. 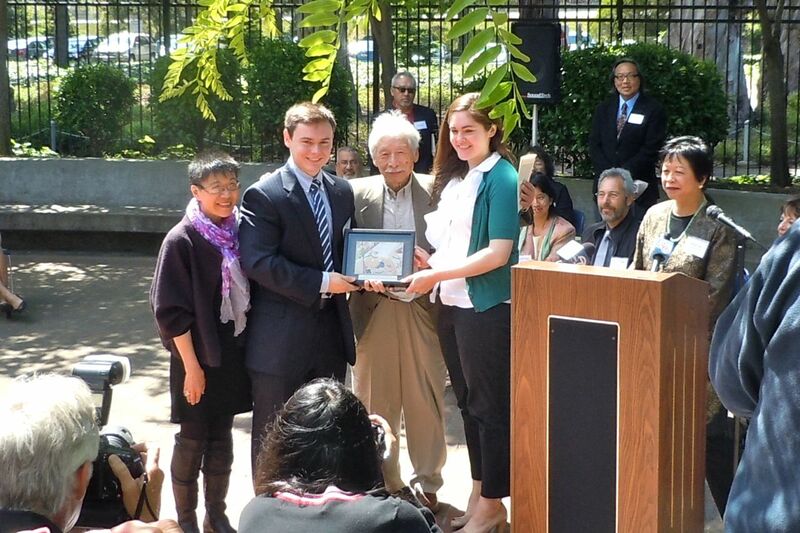 Commemorative plaque presented to the grandchildren of Tom Lantos. Other CGS members in attendance were Christine DeVillier, Grant Din, Nancy Peterson, Kay Speaks, Laura Spurrier, and Cath Trindle. 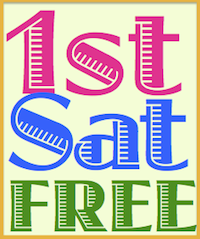 Cath has written two reports on the day for the San Mateo Genealogical Society Blog and the California State Genealogical Alliance Blog. 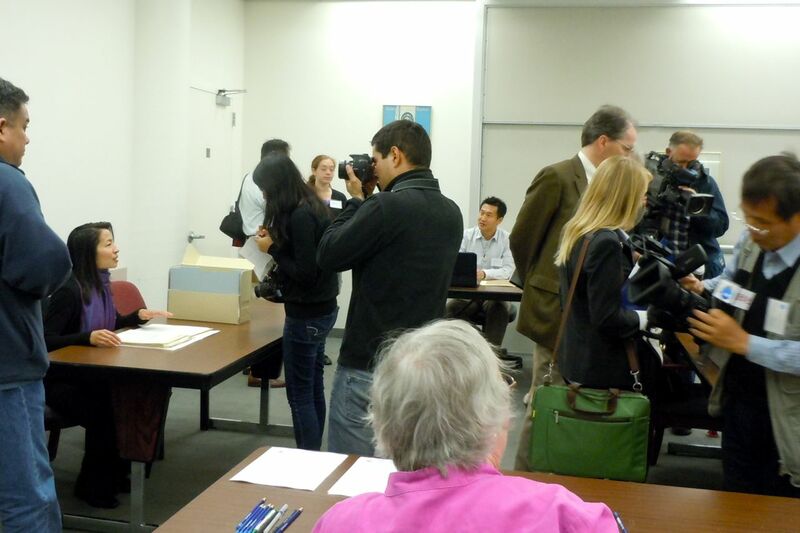 Three researchers were the first to view their ancestors' A-files. The immigration files, known as “Alien Files” (commonly referred to as “A-Files”), were transferred from U. S. Citizenship and Immigration Services (USCIS). They are among the first of millions of case files that will eventually be opened to the public. In 1940, the Immigration and Naturalization Service (INS), the predecessor of USCIS, started issuing Alien Registration Numbers to resident aliens in the United States. On April 1, 1944, INS began to assign these numbers to a new series of immigration case files called A-Files. A-Files are a genealogical wealth of information, containing documents such as photographs, personal correspondence, affidavits, vital records, interview transcripts, and visa applications. A first look at an A-File. How can one access A-Files for genealogical research? A-Files may be viewed in person by appointment or copies may be ordered for a fee. Researchers may contact National Archives staff at AFiles.SanBruno@nara.gov to search A-Files holdings for a particular file. Beginning Tuesday, May 29, 2012, an online database will be available through the National Archives at San Francisco website at http://www.archives.gov/pacific/san-francisco. The National Archives at San Francisco is one of twenty-two facilities open to the public nationwide where the public can access Federal archival records in person. Its holdings total over 60,000 cubic feet of historical records dating from the 1850s to the 1990s, created by more than 100 Federal agencies and courts in northern and central California, Nevada (except for Clark County), Hawaii, Guam, American Samoa and the American Territories. The facility is located at 1000 Commodore Drive, San Bruno, CA 94066. The National Archives at San Francisco is open Monday-Friday 7:30 a.m. – 4:00 p.m. (until 5:30 p.m. on Wednesdays.) Appointments are strongly encouraged. Photographs by Kathryn Doyle, San Bruno, California, 5/22/2012. What a great day you all had! Such important work - Bravo to you all! Good info on a record group I didn't know about. Thanks! These records portray the 20th century the picture of America's melting pot. Whether they came from Europe, Asia, Africa, and parts in between. The records are largely in English and in cases contain testimony, rare photos, and details on family history. In short, they are a treasure trove of family history, global diversity, and immigration policy. Enjoy recovering your family stories and documents. I stumbled onto the Alien Files as the first evidentiary documents for my parents who entered at the U.S. Immigration Station at Angel Island.